Whether it is a custom formulation we create, or a formula provided to us by our customer; the same quality, performance and accuracy are repeated in every batch. Our on-site testing lab is staffed and equipped to ensure our blending group produces consistent products all day, every day. The diversity of our formulating, blending capability and capacity provides our customers one-stop shopping for most of their needs. This is just another example of Kem Krest’s commitment to being “Customer Focused, Solutions Driven". 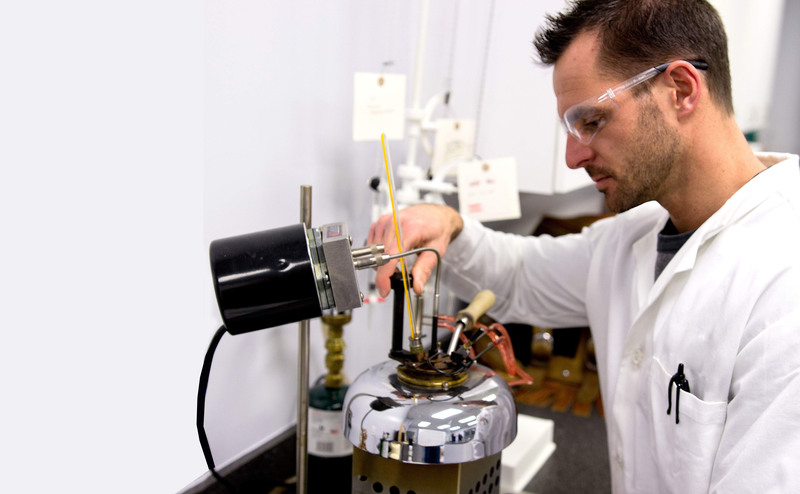 Our Brighton, MI facility was built in 1990 specifically for specialty fluid blending with the environment in mind. Our state of the art blending room is designed as its own containment system with no floor drains and an impervious chemical liner under the treated cement floor, in standing with our commitment to protect our environment. Our fluid blending capabilities incorporate the immense flexibility needed to meet the demands of our customers. Batches can be blended in sizes ranging from small pilot runs, to batches in excess of several thousand gallons. Fuel additives, solvents, emulsions, highly viscous polishes & waxes, lotions, water based cleaners, and oil based products are examples of the types of products we blend on a daily basis.